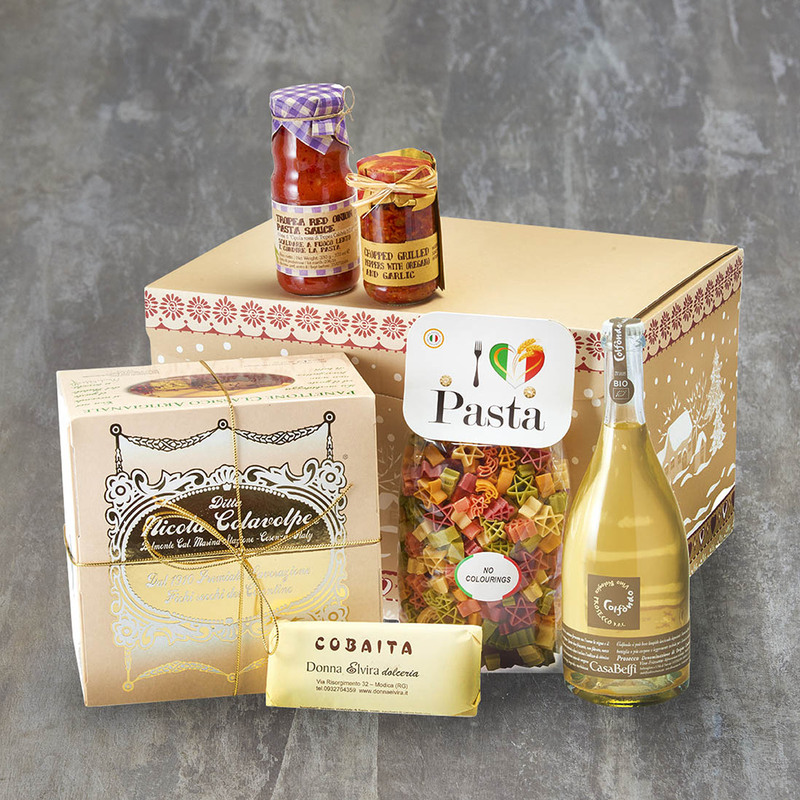 This vegetarian-friendly Christmas hamper is full of our favourite veggie products including organic fizz, antipasto, pasta and sauce and two delicious desserts! Bottle of Organic Prosecco 750cl. This wonderful organic, bio-dynamic, natural Prosecco has been made in the Veneto region of Italy with traditional farming techniques, completely organic viticulture and very low intervention. Natural 5 Colour Christmas Pasta 500g These naturally colourful Christmas pasta shapes will add fun and colour to any recipe! Our five colour stars and Christmas trees have been flavoured with tasty spinach, beetroot and turmeric. All products are carefully wrapped and presented in a strong Christmas Box which is hand-tied with a bright ribbon.